Although it is cut from the same cloth as other superhero origin stories before it, both in the MCU (Marvel Cinematic Universe) and X-Men world, Deadpool prefers its material vibrant, filled with polka dots and stained with blood. 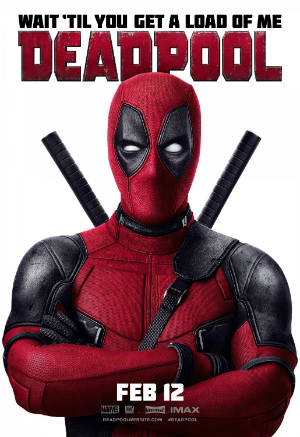 Ryan Reynolds plays the absurd, wise-cracking yet never really annoying anti-hero Wade, a merc with a mouth who, after receiving some tragic news, decides to go for broke and accept a shady offer that transforms him into a super-powered yet disfigured man. Swearing revenge on the evil scientist who wronged him, Ajax (Ed Skrein, really enjoying his sneering role), and vowing to protect his one true love Vanessa (Morena Baccarin), the plot and his origin story kick into gear. Wow this sounds really f*cking generic doesn't it? I mean as a reviewer I am just telling you the plot without spoilers (duh) and then my thoughts a few paragraphs down and so far it should not really excite anyone, right? Those previous few sentences are what Deadpool does best; Wade is constantly breaking the fourth wall, referencing previous films and even making fun of the actors who inhibited the roles. He is constantly telling it like it is, rules of narrative be damned, and it is this adaptation from the comics that has thankfully survived the blockbuster process. Before the film even begins its soundtrack choice, opening credits, product placement and tone set the stage for a fun and clever ride. From there the film picks apart a plethora of elements that tie into the franchise and beyond, and hopefully makes the viewer question the cookie-cutter nature of superhero films, the Hollywood treatment on such films, the movie-making process in general and even has something to say about equality and misogyny. Nothing is heavy-handed, though, and it is all weaved into the plot so perfectly that half the time it feels natural that Deadpool is speaking directly to us. This should fail, collapsing into its own exhaustive, self-referential heap, if not that the said 'mouth' is confident and comfortable with this cocky process. Breathe a huge sigh of relief, then, as Ryan Reynolds gleefully and unabashedly steps up to the plate, fully inhabiting the manic killer whose humour never wanes. Along with his closest 'friend' Weasel (T.J Miller) and taxi driver Dopinder (Karan Soni), Reynolds chews scenes apart with quick-fire insults, masturbatory musings and acerbic comebacks that are powered by improvisational lines that both Miller and Soni expertly parry. His acid-tongue perfectly accompanies the gleeful ultra-violence that follows. Existing in the X-Men part of the Marvel world, and under a legal copyright quagmire due to Sony's ownership of that particular franchise, Deadpool has the burden of utilising that property without full access. Thankfully nothing is shoehorned or awkward as two X-Men, Colossus (credited as a CGI guy) and Negasonic Teenage Warhead come out to play in the strangely vacant Xavier's School for gifted youngsters, something Deadpool hilariously points out off-hand. (Which Xavier, James or Patrick?). The two heroes act as counterweights for Wade, providing a lot of the morality and ethics injected into most Marvel properties. It is their staunchness and clear-headedness that clashes so hilariously with his deadpan madness, and interestingly questions are raised about the whole philosophy of what it means to be a hero. Additionally when Deadpool is simply Wade, Reynolds keeps the proceedings hilarious in the origin part of the tale, proving his comedic timing without the costume in his cheeky chemistry with Vanessa, and genuine emotion is felt on the screen. The only real caveat, as aforementioned, is the origin tale. The film tries to cut it to pieces and reconstruct the madness, but sticks very safely to the narrative format, trying nothing new or experimental with the formula. Regardless, Deadpool is wickedly funny, especially after the onslaught of mainly serious comic superhero properties that have pervaded both the big and small screen, and will continue to do so, for now. More than just a comment on blockbuster franchises, or simple parody, Deadpool is a love letter to the infamous anti-hero that gets its character and the tone just right. Go see it so the poor struggling juggernauts at Marvel can make even more money. 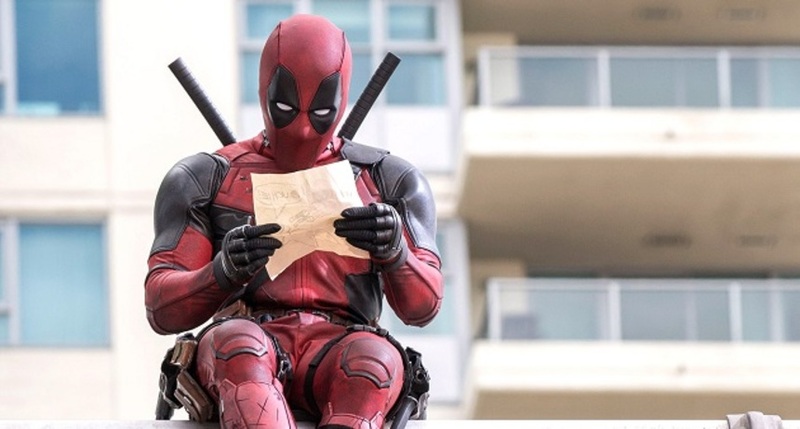 Have Your Say: Who Would Be A Good Fit For Directing DEADPOOL 2? Have Your Say: What's Your Favorite Slow-Motion Moment? Fox needs the bills after the Fant4stic losses, that's for damn sure. I'm sure this is a very funny piss-take on superhero conventions, something that a person like me (emphatically not a superhero fan, and deeply annoyed by the genre's total takeover of the film industry at the expense of challenging independent cinema or even mid-budget studio fare) would appreciate, even though I think nonstop fourth-wall-breaking will get a bit tiresome and gimmicky after half an hour or so. Conventional wisdom has it that when the parodies start showing up, a genre has begun losing steam (hope springs eternal), and at least Marvel seems to have the self-awareness and good sportsmanship to embrace self-parody as part of the process. He he He he he BANG! "Hey, did I leave the stove on?" Literally the pinnacle of comedy writing in this film, I'm sure. Thanks for the review Kwenton! ...have a few nagging minuscule concerns about this one. .But; i know i won't be able to keep myself from the movieplex come Feb. 12th.